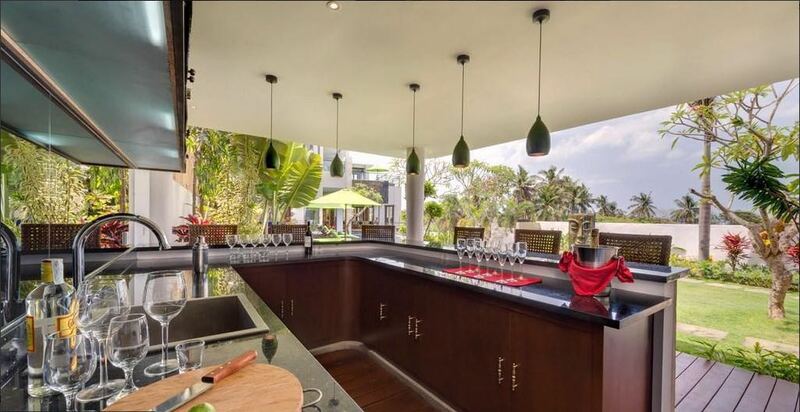 Top Bali Villa for a group holiday in Canggu - rent this now! 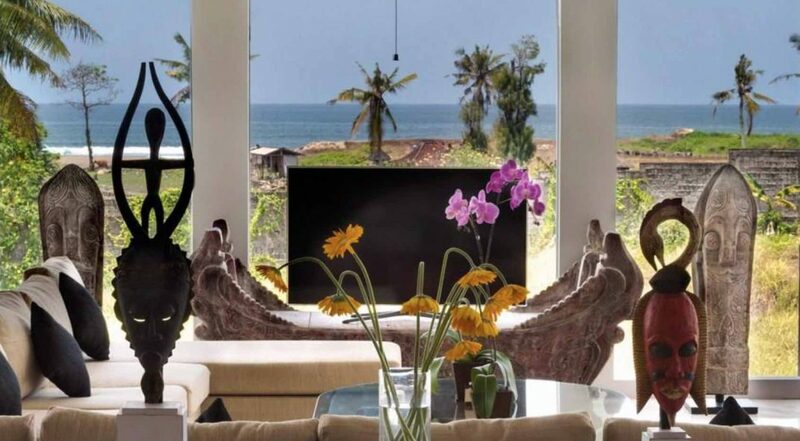 Villa Luwih is set back just a few hundred meters from the sands of Echo Beach, Canggu. 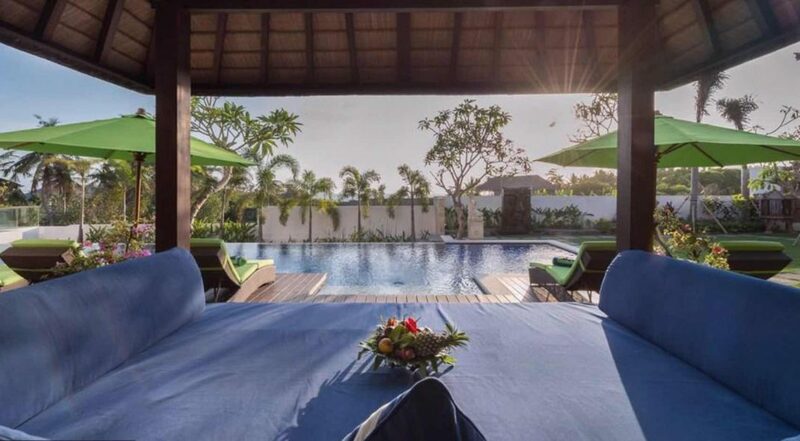 This modern 6 bedroom Canggu villa holiday rental provides fabulous ocean views with not one, but two infinity swimming pools and all the modern amenities you could ask for. 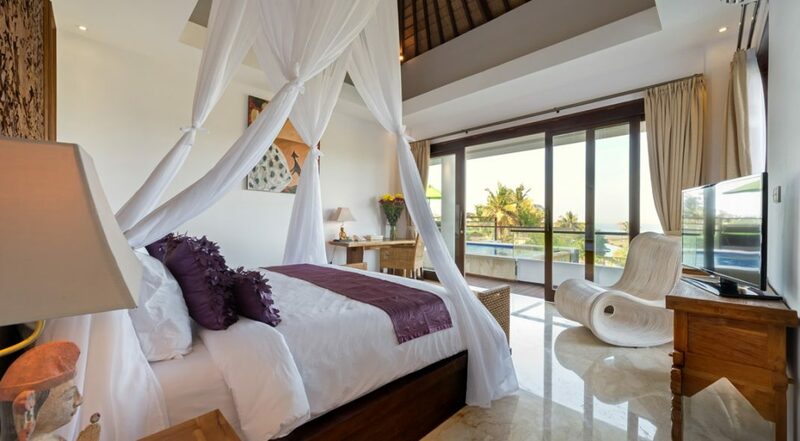 Whether you’re laying in your king size bed, relaxing on the couch or kicking back on a sun lounge by the pool, a majestic ocean view is ever- present. 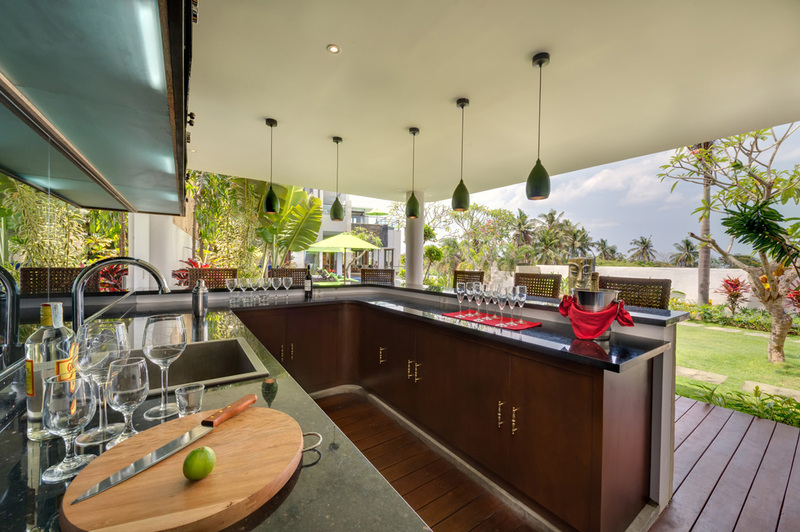 The fully stacked outdoor cocktail bar, poolside sun lounges and tropical garden is sure to be the setting for much fun and laughter with family and friends. 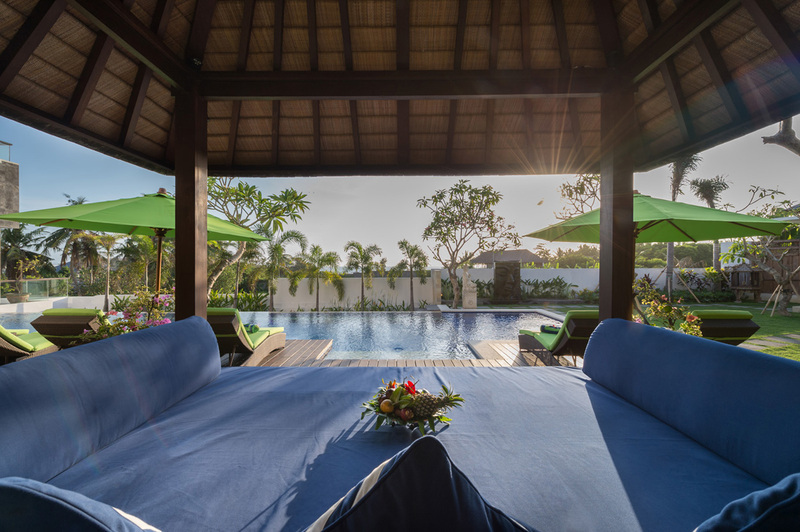 In the garden the infinity pool stretches out from the villa, flanked by the pool deck with a sun lounge for everyone, frangipanis, tropical palms while a bale offers a shady spot to relax. 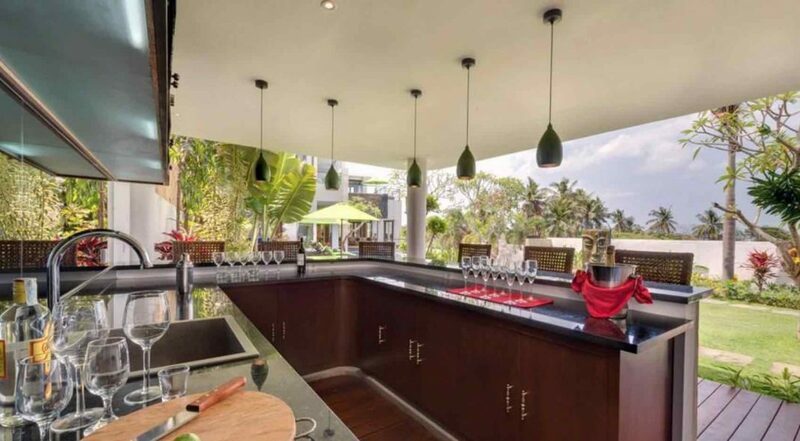 Walk down to the full blown cocktail bar and pull up a stool while the butler mixes your favourite cocktail. 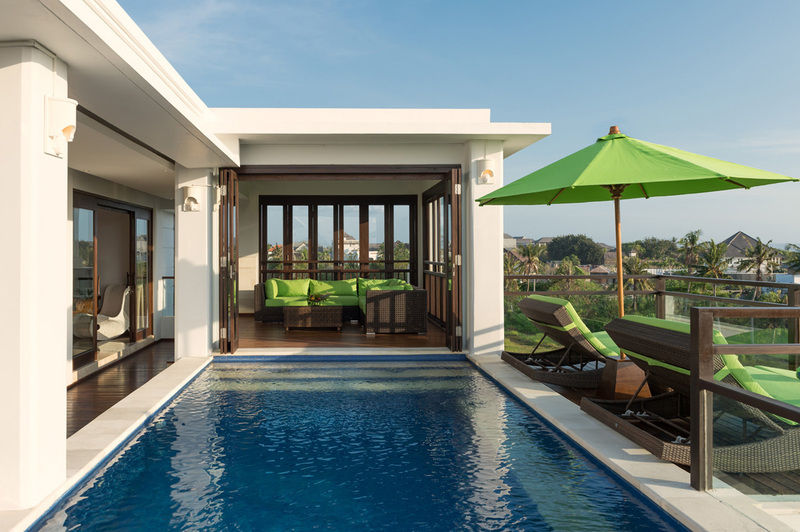 If you want a better ocean view, head to the upper deck, where you can keep cool in the second infinity pool, what an amazing spot to enjoy a magical Bali sunset. 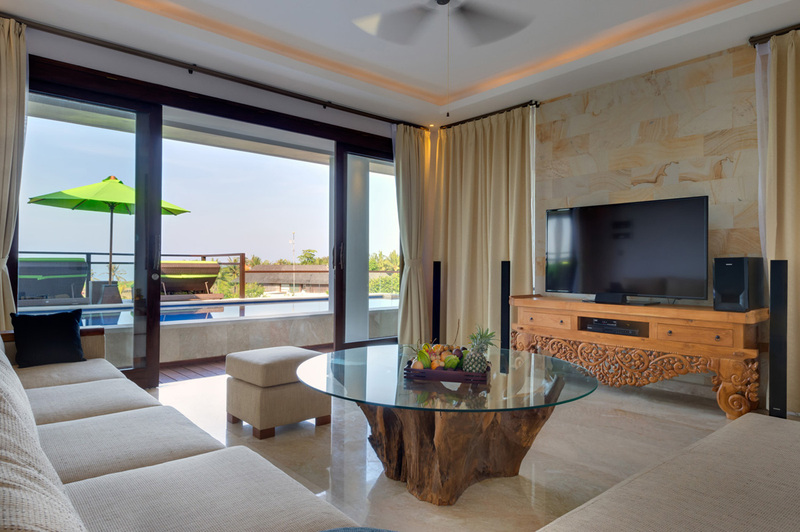 The main living area is fan cooled and air-conditioned, a huge L-shaped sofa in front of the large flat-screen offers enough seating for everyone and floor to ceiling glass windows provide great ocean views. 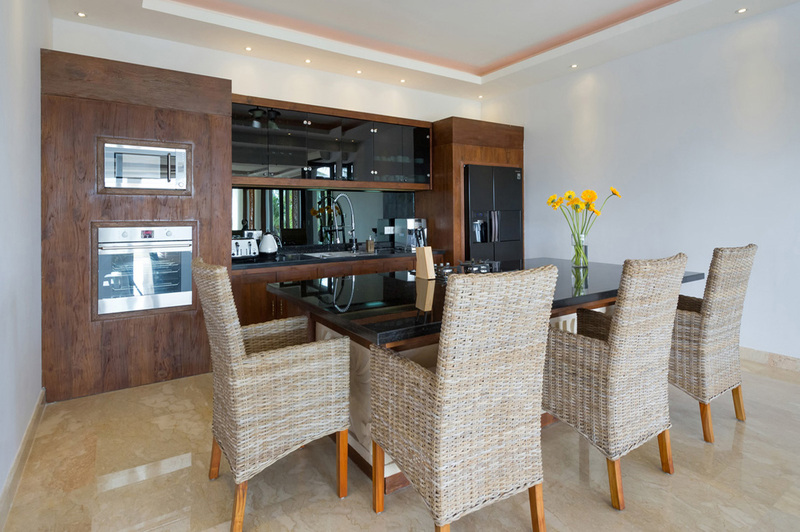 There’s also a well equipped kitchen here with a small dining table for snacks throughout the day. 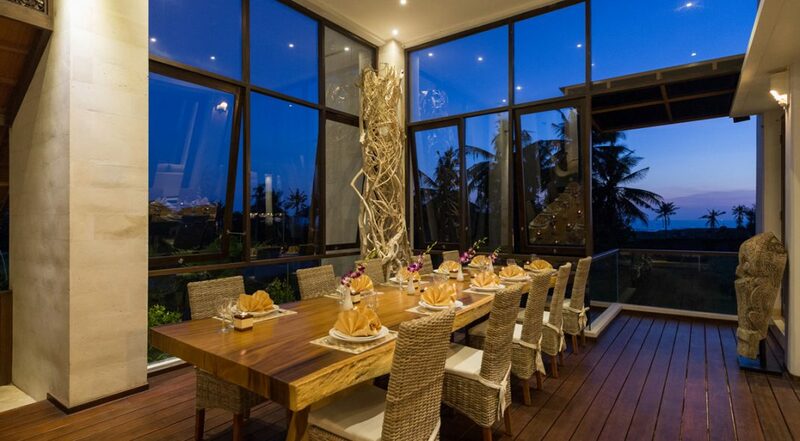 A separate more formal dining area boasts a solid timber dining table for up to 12 guests. Upstairs a second media room looks out of the decking and upper level infinity pool, there’s also another spot to relax here with bi-folding doors and an outdoor sofa setting. 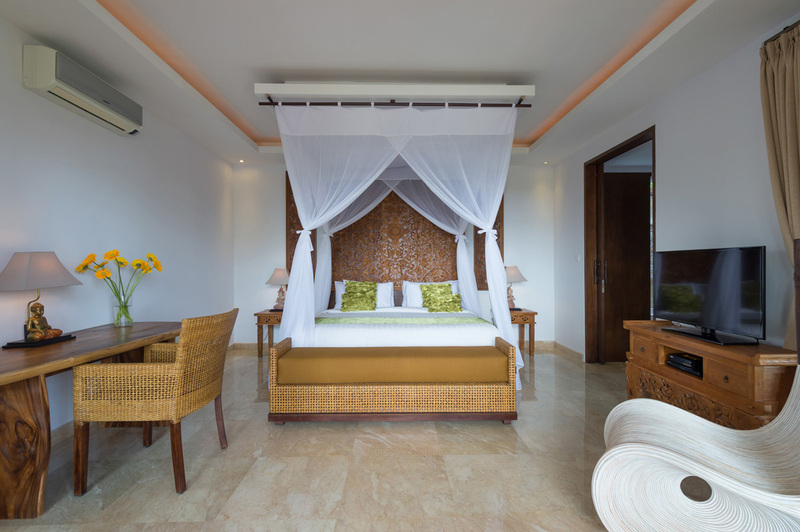 Bright spacious bedrooms provide king size beds with fine white mosquito nets, timber furnishings and sliding glass doors opening onto the garden or private balconies. 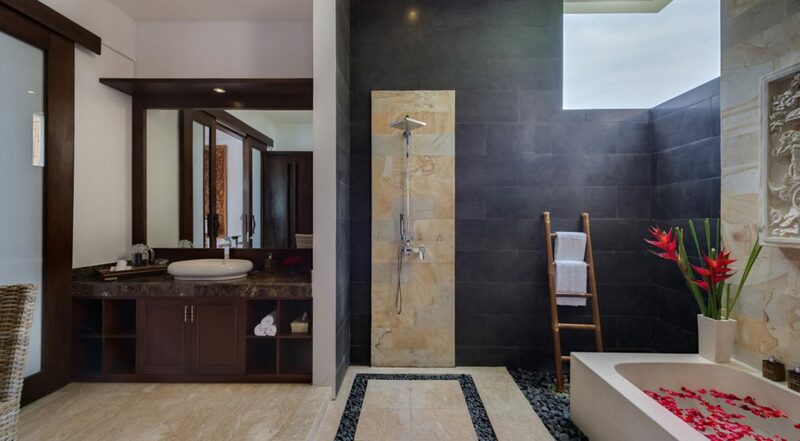 There are flat-screens in all the rooms while the semi-open en-suites provide a mix of monsoon showers and built-in soaking tubs. 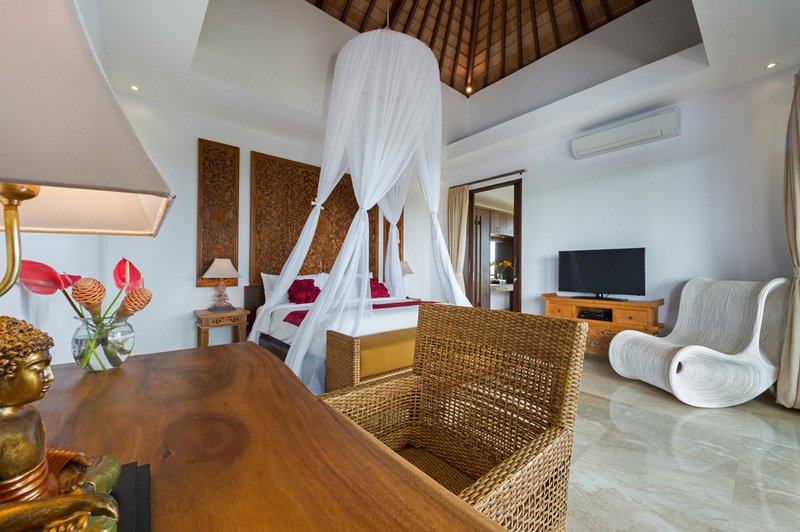 Guests will receive a warm welcoming from the Balinese staff who takes great pride in making sure your stay is relaxing and memorable. 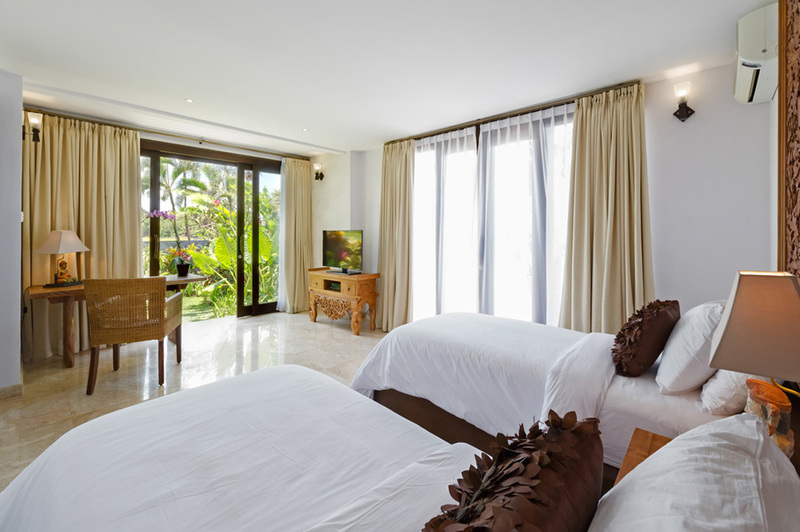 The housekeeping staff will provide daily cleaning services while a team of butlers, in-house chef and the villa manager will serve you day and night. If you require a baby sitter, maybe a massage or help organizing a car and driver, the staff will be there to arrange it for you. The restaurants and cafes of Echo Beach are easily accessed by scooter or you can take a leisurely stroll along the beach. 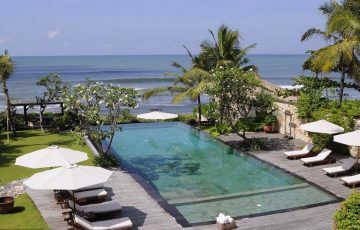 The famous Tanah Lot Temple and Bali Nirwana Golf Resort are a short drive away as are the very popular Finns and La Laguna Beach Clubs. 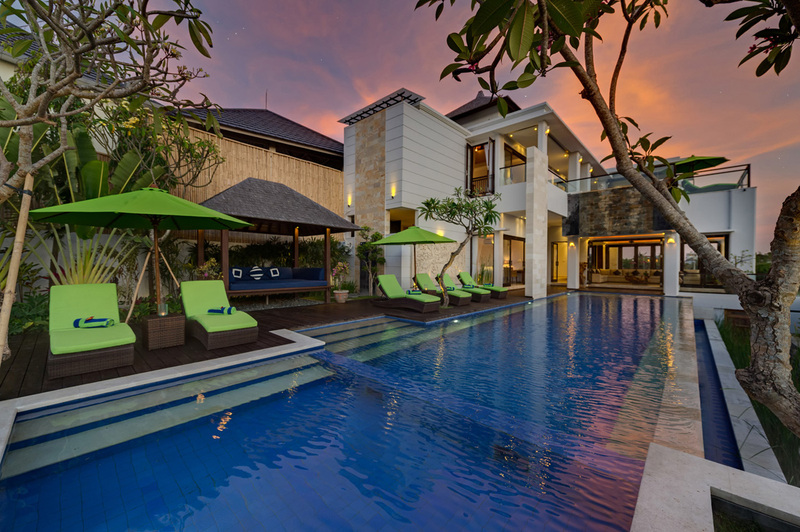 This is villa is in such a fabulous location that it makes the perfect family or group holiday getaway. 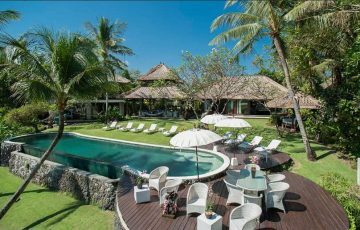 If you love the beach, are a bit of a foodie, enjoy luxury or are travelling to Bali with kids then Villa Luwih is the perfect villa. 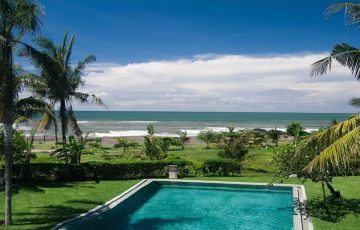 To view other Canggu villas or our full range of holiday Bali villas that are close to the beach, please browse this website or contact our reservation team. 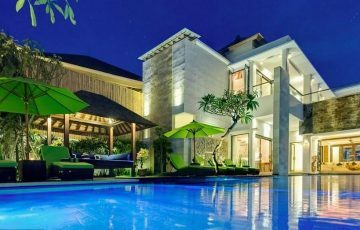 This is a popular Canggu holiday villa rental so if your planning a trip to Bali, especially during the Australian school or public holidays please book Villa Luwih well in advance. 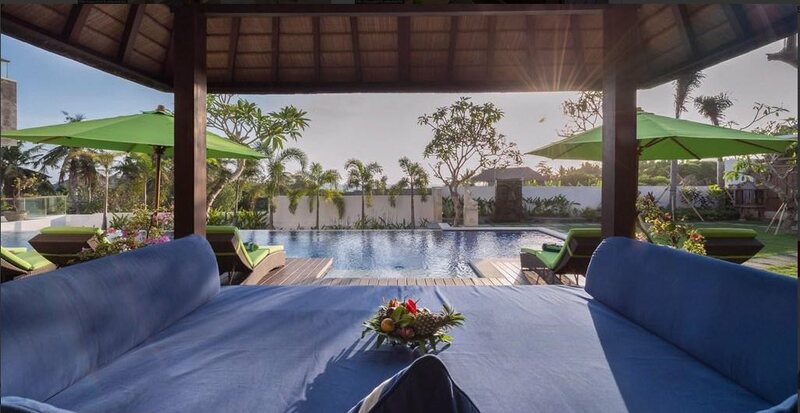 Villa Manager – who will be more than happy to organise tours, dinner parties / reservations, BBQ nights, car hire, shopping trips, nannies, babysitters, in villa spa treatments / massages as well as advice on where to go and what to see. Without doubt one of the best holiday experiences of a life time. 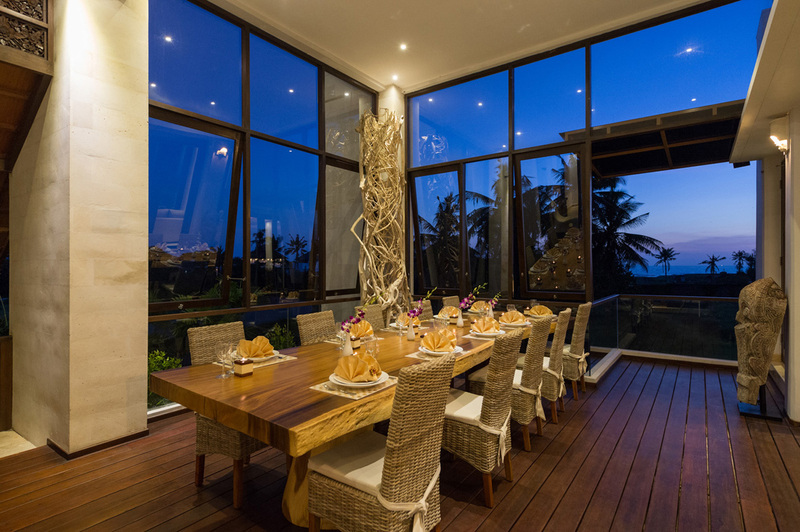 This villa has everything you could ever want and we loved every minute of it. Friendly staff, great attitude with a fantastic pool and gorgeous beach view thrown in as well......we are coming back! 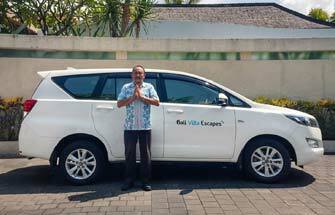 A huge thanks to Ina and Dewi at Bali Villa Escapes for organising this at the last minute for us and putting up with all our emails - you guys are legends! 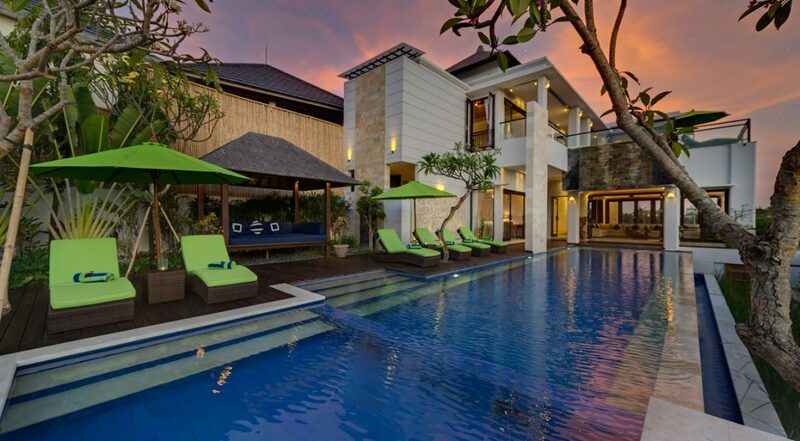 What a fabulous villa. 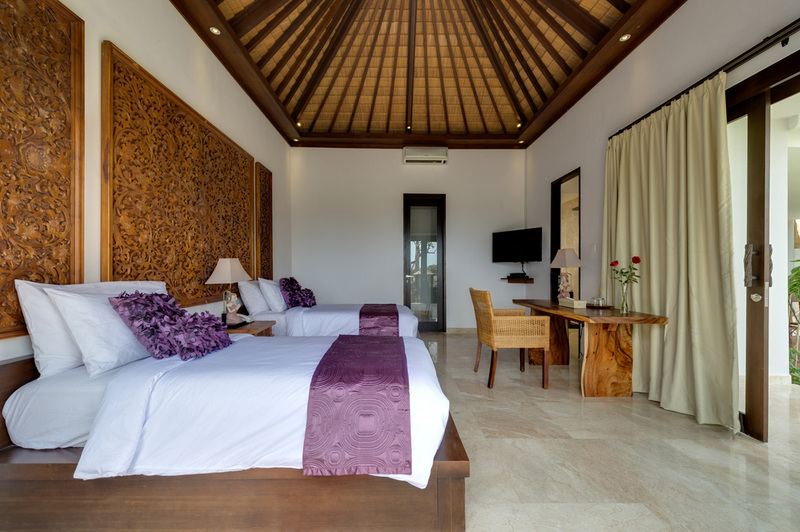 5 star all the way at Villa Luwih. From the day we arrived till the very second we left this was like staying in one of those luxury resorts. There was a communal 'wow' as soon as we arrived and it just kept on getting better. Staff, service and the facilities were far far better than we had expected. I also want to say that the location was perfect. Close to the ocean, really quiet and laid back. 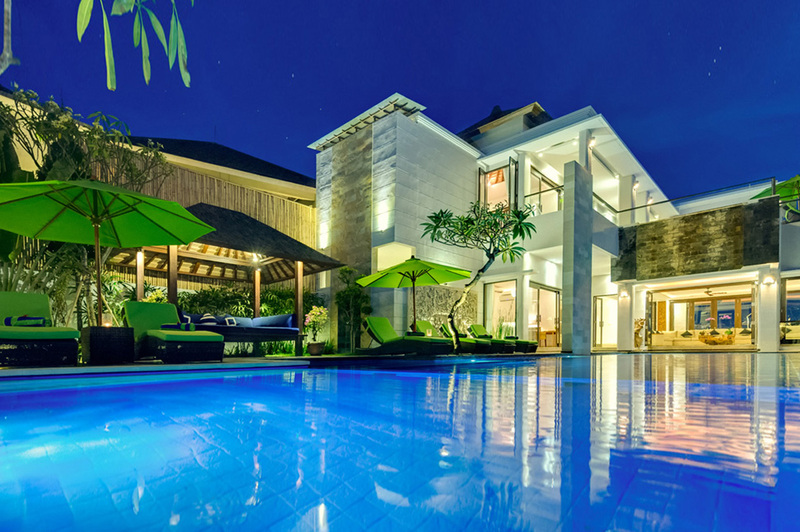 I cannot count the times I have recommended this villa to my friends. 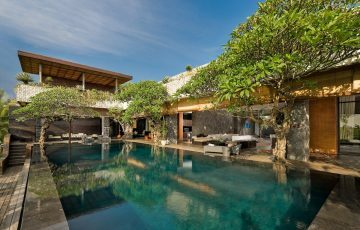 If you want to spoil yourself and have a once in a life time experience I would say give this villa Luwih a try next time your planning a holiday to Bali. 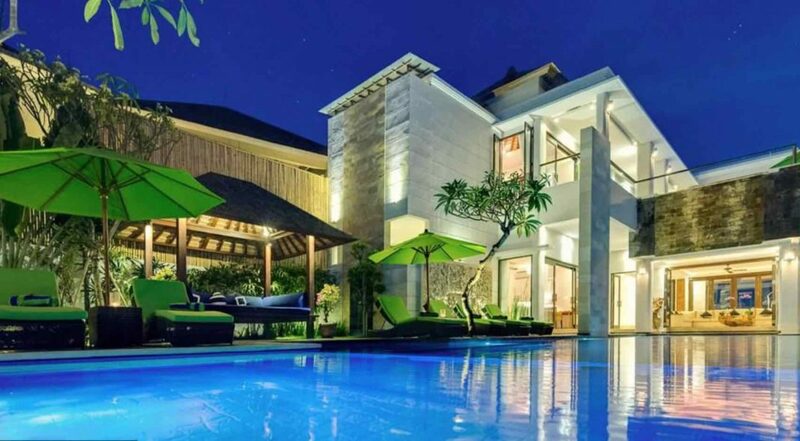 What a sensational villa! 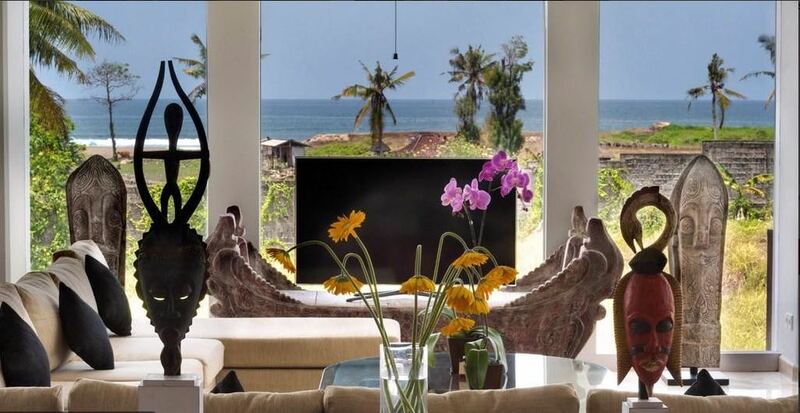 Love the Canggu location as well. Ultra modern villa where we felt like rock stars - it's that good. 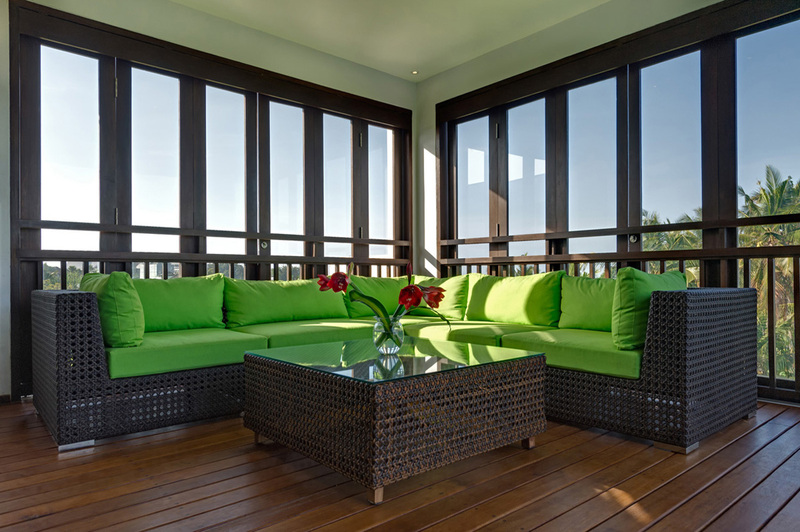 Clean, modern and really spacious with world class customer service. It was really handy being picked up at the airport and taken to the villa cause theres no way we would have found it. A dream come true staying here. 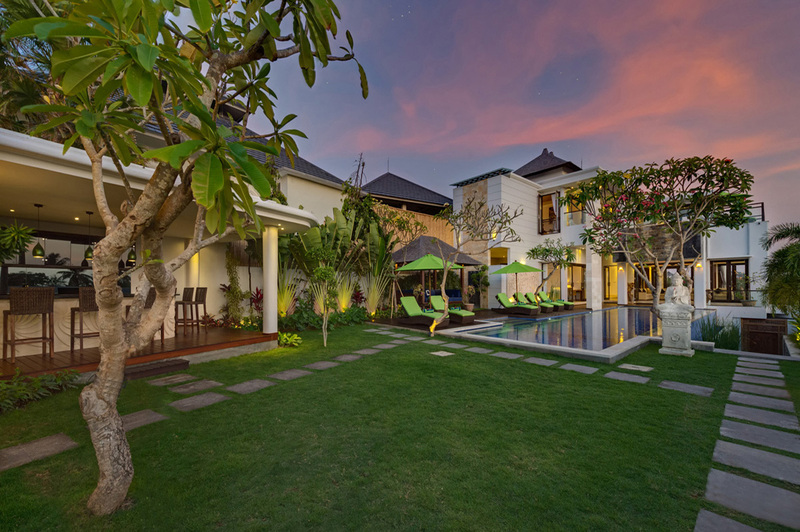 After looking around for what seemed ages we finally decided to stay at Villa Luwih - great decision! The place is amazing and in such a good location. My husband loves to surf and having Echo beach close by was his idea of heaven. 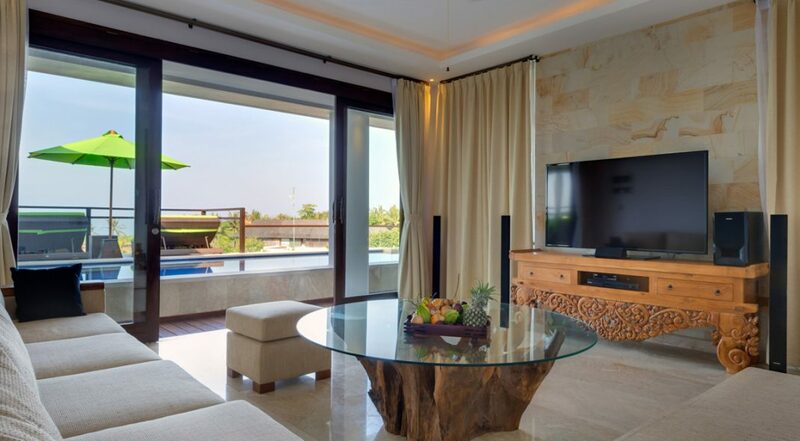 The villa was magnificent and the staff were a stand out feature. Rooms were comfy with great beds. Kids loved the pool. 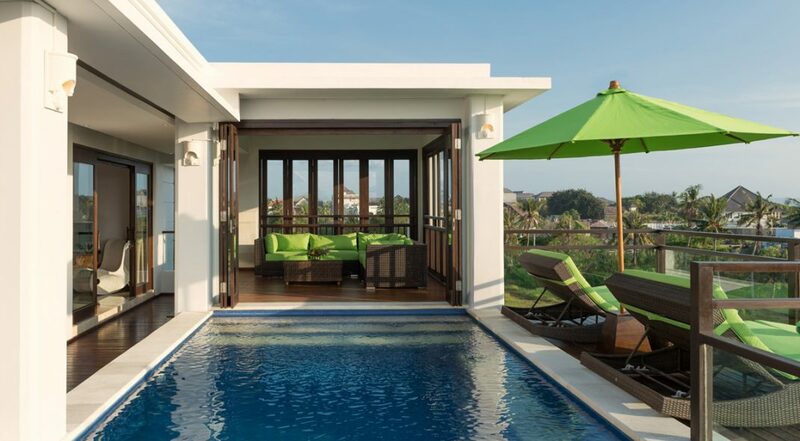 Great holiday, perfect villa! We are definitely coming back to Luwih. Easy booking process, friendly staff and a lovely location - all up really happy! 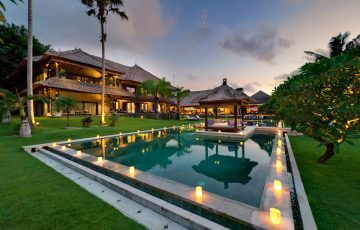 OMG.... WHAT A GREAT VILLA!! 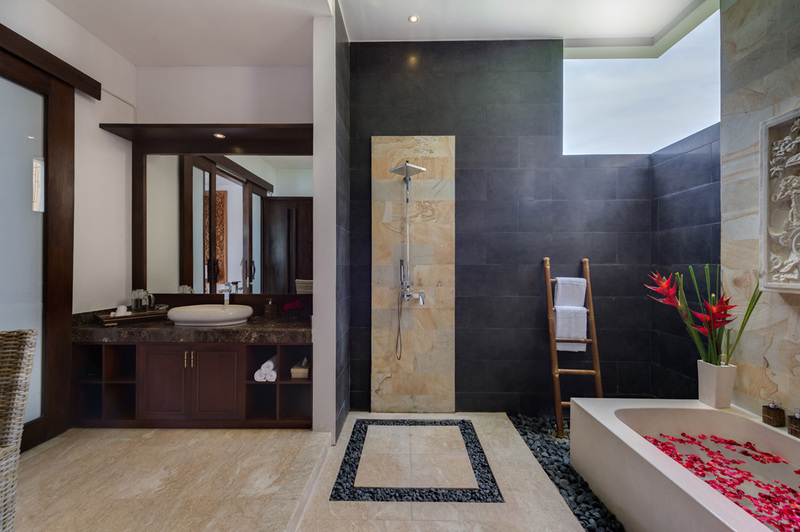 This was our second time at Villa Luwih and there will be a third...10 out of 10.